Honors students at La Morada. This past Wednesday, a group of Honors students and staff made the hike down from the Rose Hill campus to the Mott Haven neighborhood of the South Bronx to have some challenging discussions about the issues of gentrification and immigrant rights, as well as learn about how locals are fighting back. In the process, we got to enjoy a delicious meal at “La Morada,” where one can find New York’s best Oaxacan food, and some have said, the best Mexican food north of the border. When you step off the Bx15 bus that takes Fordham students right from the Plaza to the doorstep of the restaurant, the first thing you notice is the message painted in bright red on the door: REFUGEES WELCOME. The folks at La Morada are not shy about their activism; rather, it is a core part of their identity. As legendary Fordham professor Dr. Mark Naison said, La Morada is “the center of immigration and anti-gentrification activism in the South Bronx.” In addition to serving food to the community, they hold workshops, fundraisers, and rallies to support their neighbors. When you enter the restaurant you’re immediately drawn to the various banners calling for an end to deportations and other criticisms of US foreign policy. Some of the many flyers at La Morada’s entrance. Their activism hasn’t gained them many fans in law enforcement, however. It came to a head on January 11, when Yajaira Saavedra, whose family owns and operates the restaurant, was arrested without warrant or stating probable cause by undercover NYPD as they attempted to carry out a sting operation against the restaurant. Saavedra was eventually released as community members crowded the 40th Precinct, but her upcoming court date means her status is still unstable. That hasn’t stopped her activism or her incredible spirit, as she took the moment to tell her story and the story of the restaurant to the Honors group, as well as indulge us in a selfie outside the restaurant. 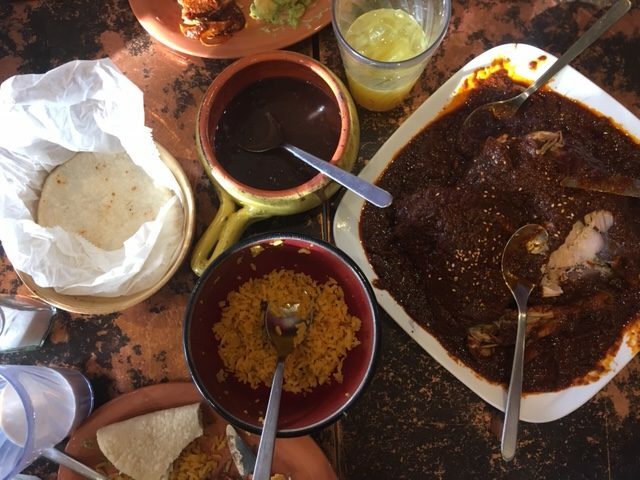 Dark Chocolate Mole and Chicken, one of the five different mole dishes La Morada shared with us. 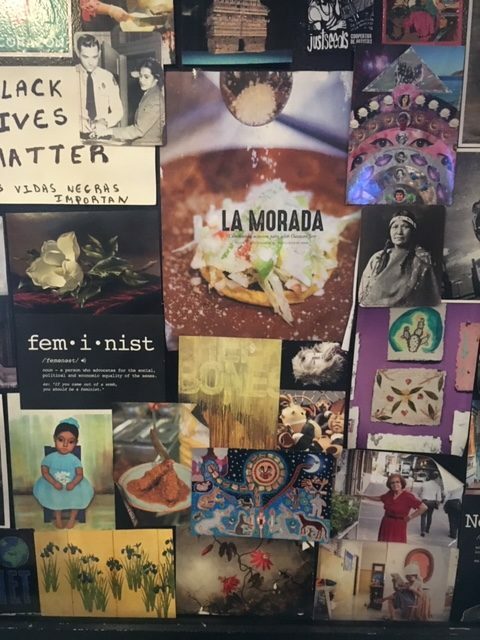 In addition to their activism, La Morada’s Oaxacan roots mean that they have a solid indigenous identity, and that was reflected in the fantastic meal served. Our main course featured five (!) different Moles, which doesn’t even comprise the entire selection offered on their menu. These were the capstone to a meal which already had us salivating with Guacamole, Rice and Beans, and Sopes, not to mention the various fresh juices and teas that were passed around. As she spoke at the end of our meal, Yajaira was sure to be clear that the delicious food we had just enjoyed is culture that will be erased if the gentrification of “SoBro” or “The Piano District” (as it is somewhat ridiculously marketed by developers) is to continue. 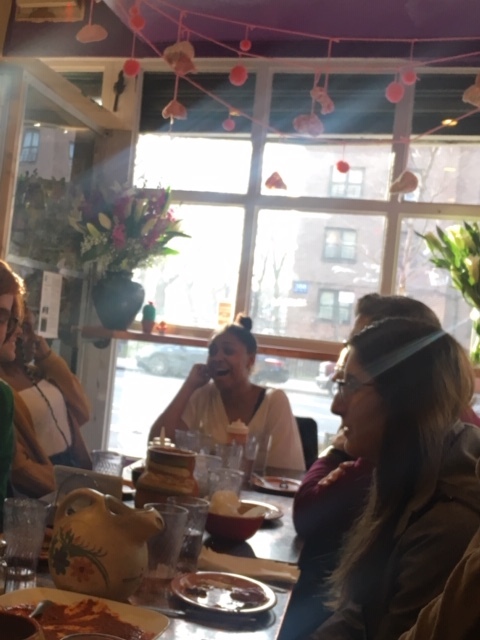 The main lesson learned from the experience– aside from where to take someone in dire need of good Mexican food– is that as Fordham students, we should be conscious of the impact we have on the communities and neighborhoods we interact with. We should step off our home neighborhood of Arthur Avenue to explore the rich diversity the Bronx has to offer and help to break down the psychological barrier between Fordham University and the community we are within. Often, when we think of Fordham’s Honors Program, we get so caught up in our specific program, curriculum, and community that we forget that we, as a Jesuit university, belong to a much larger network of other honors programs. A few weekends ago, we had the opportunity to travel to the American Jesuit Colleges and Universities Honors Conference at John Carroll University in Cleveland, Ohio. Andrew, Rachel, Hannah and Megan at John Carroll University. We spent the weekend being reminded of our interconnectedness and dependence on not only other Fordham Honors students, but also on other honors programs across the country. At the conference, various schools volunteered to lead discussions on their favorite aspects of their respective programs, so we could all learn from each other’s strengths. We presented on our Student Activity Committee (SAC), which organizes student-led, Honors-specific activities and events throughout the school year. Several other honors programs shared that they struggled to create an honors community within their larger universities, and we felt like SAC offered a unique way to build community within Honors, but in a more social, rather than academic, setting. We focused on a few specific committees within SAC: Wellness, Alumni Relations, Recruiting, Alpha House Upkeep, and Bronx Exploration. Other schools were interested in how flexible and fluid our SAC committees are, and how easily students of all experiences, grade levels, and fields of interest get can involved. We learned from other programs’ presentations and brainstormed what we might like to incorporate into our own program in the future. We also had a great time building community and getting to know each program through its students and their unique personalities. Besides the obvious common ground of being honors students at Jesuit schools, we found that many of us had taken similar classes and read similar materials, which gave us a starting point for conversations. Being in this conference environment gave us an opportunity to talk about serious topics, but also to have fun learning about different parts of the country and different schools. Not only did we learn about other programs, but we were able to build friendships with honors students from across the US. 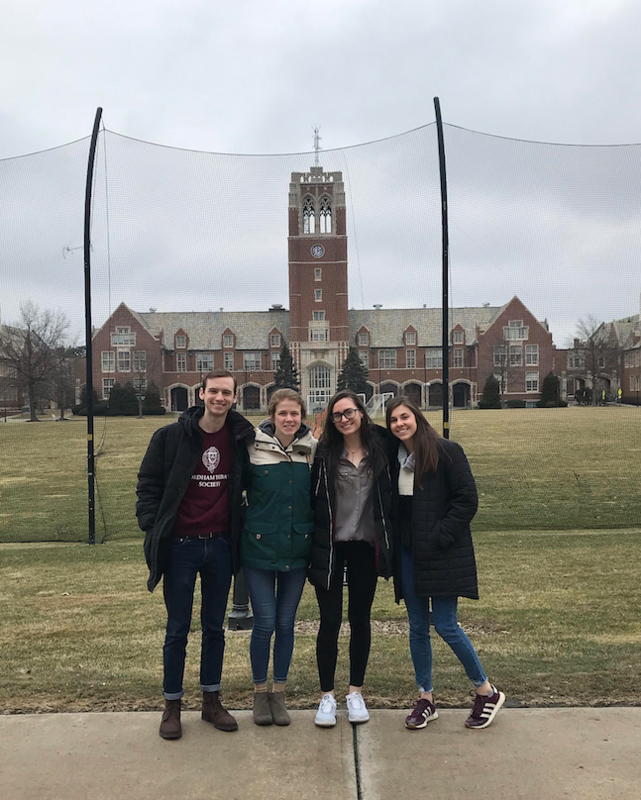 Overall, our experience at AJCU gave us an opportunity to learn about other honors programs, brainstorm possible additions to Fordham’s Program, and further build our Jesuit community. Summer Internship Fellow Kat with one of her students. This summer, I was awarded an Honors Summer Internship Fellowship to be an Education Intern at Children of Promise, NYC (CPNYC). 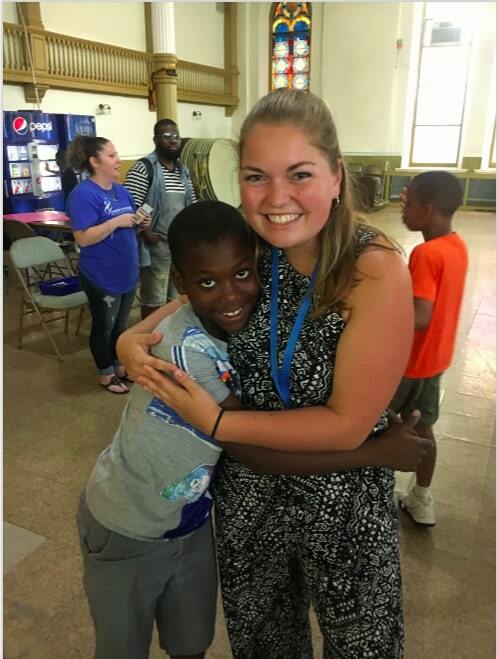 The experience was challenging, unpredictable, and often times exhausting – but more than anything, it filled my summer with incredible joy and love. Last year, I attended the Association of Jesuit Colleges and Universities (AJCU) Honors Conference as a representative of the FCRH Honors Program. There, I participated in a teach-in on criminal justice and spoke with both currently and formerly incarcerated people. The teach-in sparked a desire in me to further learn about and work towards criminal justice reform. Because of this, I was instantly drawn to Children of Promise. CPNYC aims “to embrace children of incarcerated parents and empower them to break the cycle of intergenerational involvement in the criminal justice system.” Its innovative model of a combined after-school/summer camp program and mental health clinic provides children with holistic support and exciting opportunities. Throughout the summer, I could be found in many different roles. Primarily, I led a ‘Science Club’ for groups of 8 and 9 year-olds. Other days, I helped with ‘Read-aloud’ for 6 and 7 year olds, accompanied children on trips throughout New York City, and directed volunteers at CPNYC’s Saturday Resource Center. Regardless of the role I was in, every day I developed relationships with the children and grew to love their unique traits and bold attitudes. Although my internship has formally ended, my relationship with CPNYC has not. I plan to volunteer there during the school year and am currently helping to design and implement a youth Council of Promise to provide leadership opportunities for the children. 2.7 million children in the nation, and 105,000 children in New York State, have a parent in prison. CPNYC is the beginning of a movement to support these children, whom the odds are against, and create opportunities for them to succeed. For me, this internship has emphasized the importance of building relationships with the individuals who are affected first-hand by issues of injustice. In becoming a part of their community, their struggle becomes my struggle, and I am all the more committed to a career in solidarity with these communities. Thank you to the FCRH Honors Program and its donors for this fellowship as well as the opportunity to attend the 2017 AJCU Honors Conference. These experiences have been critical in my formation at Fordham, and I so grateful for the continued support of the Honors Program as I enter my final year at Fordham. Jane Goodall and Alec Baldwin in conversation at the Global Climate Action Summit. Thanks to a generous travel grant from the Fordham Honors Program, I was recently able to attend the Global Climate Action Summit as a student Reporting Fellow for the UN Association. UN Secretary-General António Guterres recently called climate change the defining issue of our time, and this summit was a crucial step towards advancing the goals of the Paris Agreement, the Green Climate Fund, and other UN initiatives related to Sustainable Development Goal 13. 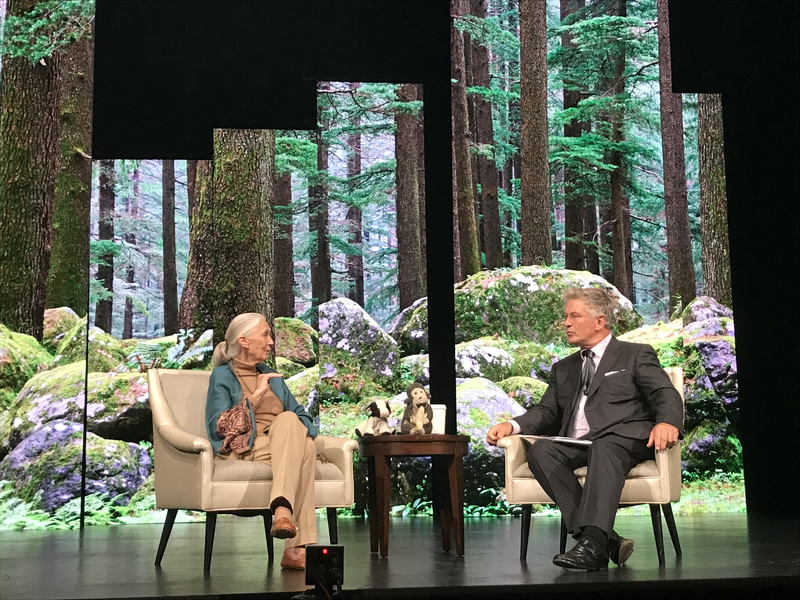 As a pre-law student specializing in environmental policy, attending this summit was a dream come true, and it was so amazing to see Jane Goodall, Al Gore, John Kerry, and other luminaries of the environmental movement speak in person, as well as hear from diplomats from the Antarctic to the Amazon. Interviewing Fordham alumna Queen Quet Marquetta L Goodwine and other inspiring diplomats for GenUN was such a great reminder of why there are still so many reasons to be optimistic. As a Southerner with family and friends in the path of Hurricane Florence, it’s easy to be cynical, but this summit was such a great reminder that there are people all over the world working to turn back the clock and stop catastrophic climate change. 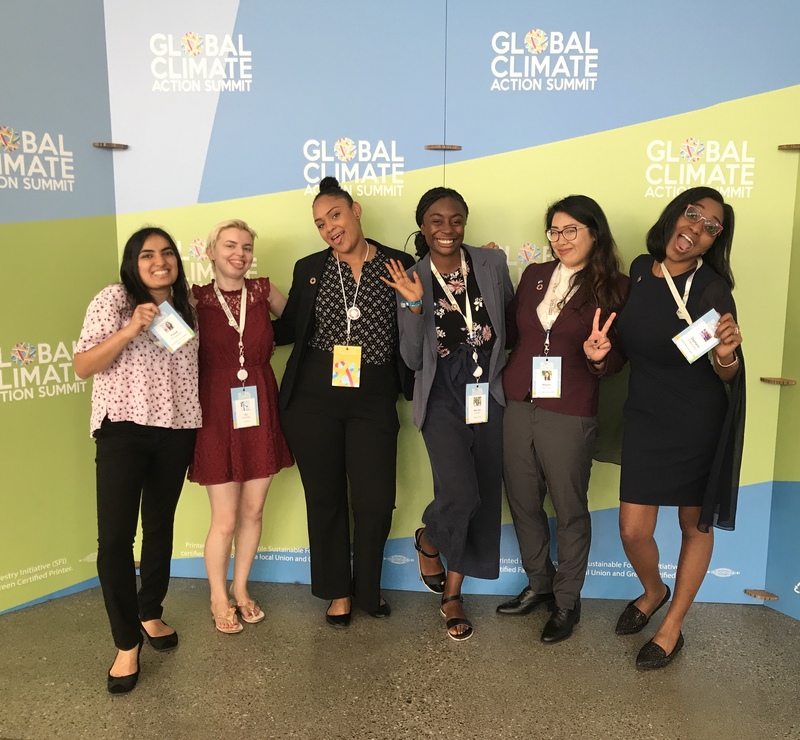 I feel very fortunate to be have been able to represent the Fordham Honors Program at the Global Climate Action Summit in San Francisco, and I hope that my experience inspires other students to get more involved with United Nations environmental initiatives. Robin (second from left) and colleagues at the Global Climate Action Summit in San Francisco, CA. This summer, the Honors Summer Internship Fellowship allowed me to work for City Year New York, an education nonprofit whose mission is to provide quality education to students in New York City’s most underserved schools. City Year employs AmeriCorps members in 28 cities and hundreds of schools across the country to combat the dropout crisis. As an intern for their Corps and Site Operations department this summer, I managed day-to-day office tasks as well as helped prepare incoming AmeriCorps members for their year of service. 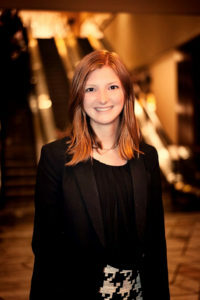 I developed content for training, collected and organized compliance forms, and helped coordinate events in the office. This was my first time working on the administrative side of nonprofit, and I gained valuable experience for my future plans in nonprofit management. 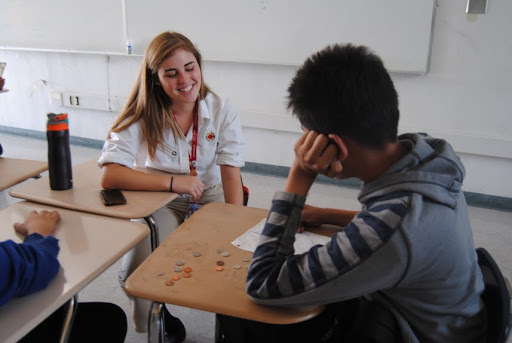 Although I did not work directly with students this summer, I understand the impact that City Year has because I served in City Year Los Angeles for two years before attending Fordham. The AmeriCorps members serve not only as tutors to students but as mentors and role models. I witnessed firsthand the tremendous impact of having a positive adult role model in a student’s life, and the City Year AmeriCorps members provide that to hundreds of students in NYC’s schools. I am grateful that the Honors Program gave me another opportunity to serve such an important cause. Kelsie and her colleagues at the City Year Corps and Site Operations Team. 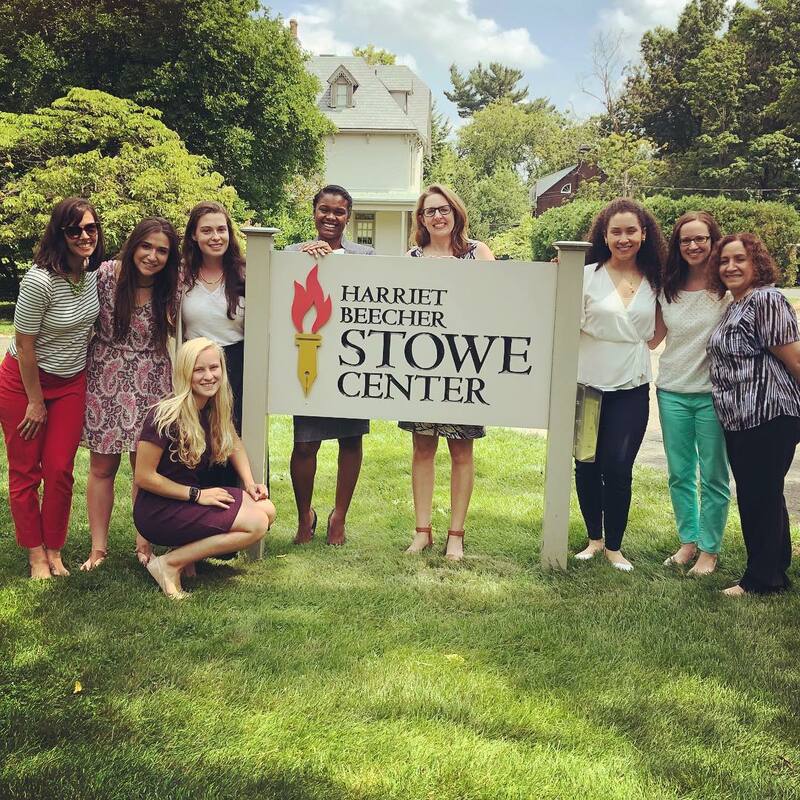 Julia and her co-workers take a day trip to the Harriet Beecher Stowe Center to attend a discussion about racism and white supremacy in light of the one-year anniversary of the violent rallies in Charlottesville. 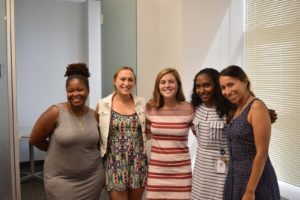 This summer, I was lucky to work at an organization called the Connecticut Women’s Education and Legal Fund as the Development and Communications Intern. CWEALF works to advocate for and empower women and girls in Connecticut, particularly those who are underserved or marginalized. They pursue this mission by providing free legal information (including individualized, bilingual community advocacy) and advocating for public policies that support Connecticut’s most vulnerable citizens. 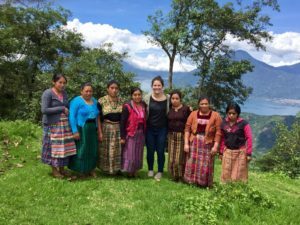 As the Development and Communications Intern, I was able to translate fundraising skills I’d learned at larger nonprofit organizations to a smaller-scale organization with a different donor base. I spent time creating informative and emotionally engaging content for social media and email blasts, as well as taking photos and creating video content for the website. I was also able to write several articles about important events and their policy implications, such as the anniversary of Title IX and the significance of Black Women’s Equal Pay Day. In the spring of my sophomore year, I worked as an unpaid intern at a larger organization called charity: water, and fell in love with nonprofit work. However, I knew that I couldn’t spend the summer continuing to work as an unpaid intern, so I was incredibly grateful to receive this opportunity; the Honors Fellowship enabled me to learn about a different part of the nonprofit sector and solidify my passion for nonprofit work. Working for CWEALF helped me to see firsthand the difficulties our laws and justice system often present to individuals who face language or income barriers, and it has inspired me to continue working with nonprofits in the future. Paul in front of the AEI building in Washington, D.C.
It’s been said that the “dirty little secret” of Fordham’s Rose Hill Honors students is that they love to learn—not just in class, but on summer vacation, as well. 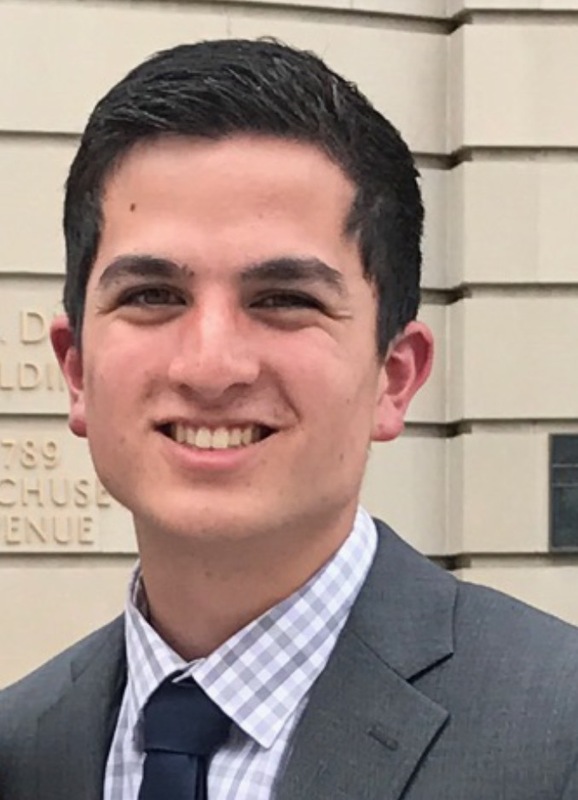 After the Honors Program graciously granted me the Summer Fellowship, I had the funds to further cultivate my love for learning alongside some of America’s top policy experts at the American Enterprise Institute (AEI) in Washington, D.C. Given my previous summers of retail experience, the opportunity to intern at one of America’s top think tanks was an invaluable opportunity that I could not deny. As an intern in AEI’s development department, I gained knowledge about the donor base fundraising methods, managerial structure, and finances of the non-profit institute. While my responsibilities alone granted me research, computer, and analytical skills, I also had the opportunity to attend weekly intern-only meetings as well as public events with United States Senators, diplomats, and scholars. Whenever I told my peers and family members that I was venturing to “the District” for the summer, they would tell me something along the lines of, “Brace yourself. Weather-wise, those D.C. summers are intense.” What resonates now, however, is not my constant dehydration in the blistering swamp heat, but my memories of learning and personal development. My conversations with interns and senior scholars constantly challenged me to reevaluate my opinions on public policy. I am beyond grateful to have received the Honors Summer Internship Fellowship, and my experience sparked a desire to further expand my policy knowledge and to promote civil discourse worldwide. I am honored and extremely grateful to be an inaugural recipient of the Honors Fellowship. This new program is another indication of the commitment of Fordham and the honors program to supporting the intellectual and professional endeavors of their students. The fellowship enabled me to live and work abroad in Panajachel, Guatemala as the Community Outreach Intern at Mercado Global. Mercado Global is a non-profit that is dedicated to breaking the cycle of poverty for indigenous artisans in rural Guatemala. 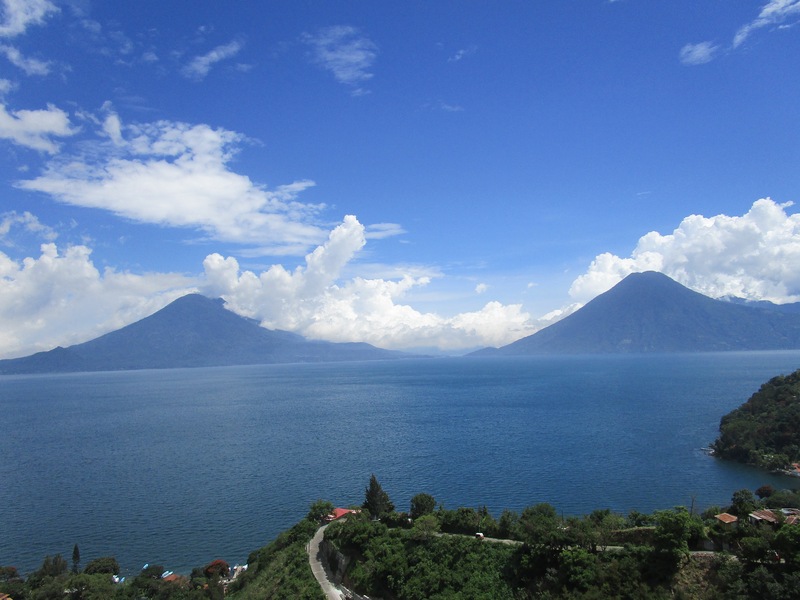 My work entailed keeping track of the donations and fundraising efforts of our network and facilitating donor visits to our office in Guatemala. The most interesting aspect was being a part of the company’s biannual Social Impact Assessment. With the help of local interviewers, the company gathered data on their 200 artisan partners. I learned the demographics of their artisans and witnessed a process that enabled the company to better support the women in the future. I then was able to use this information and other interviews I collected to create a research project about the effectiveness of social enterprises in the lives of indigenous artisans. As a result of this fellowship I was able to live abroad, develop my foreign language skills and learn a significant amount about nonprofit management and the value of research. 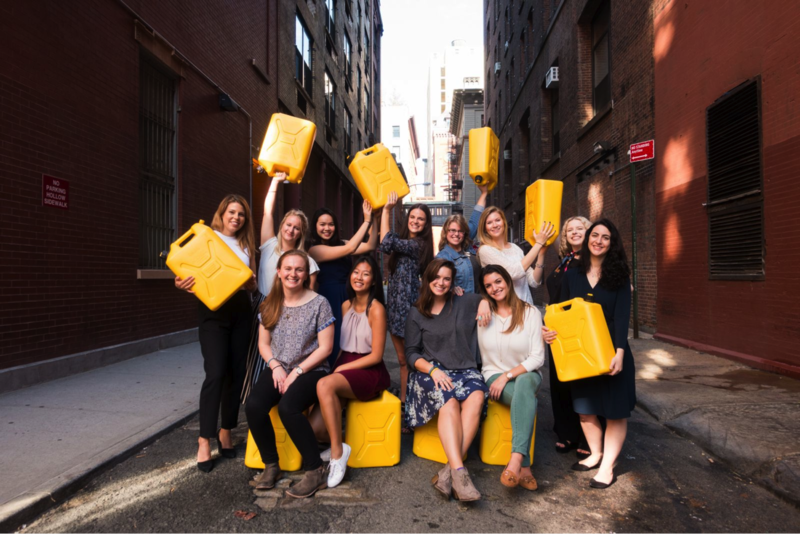 This summer I had the joy and privilege of working at a non profit organization called charity: water as a Water Programs Intern. charity: water works, through fundraising and implementation of those funds, to bring clean water to people in rural areas all over the world. 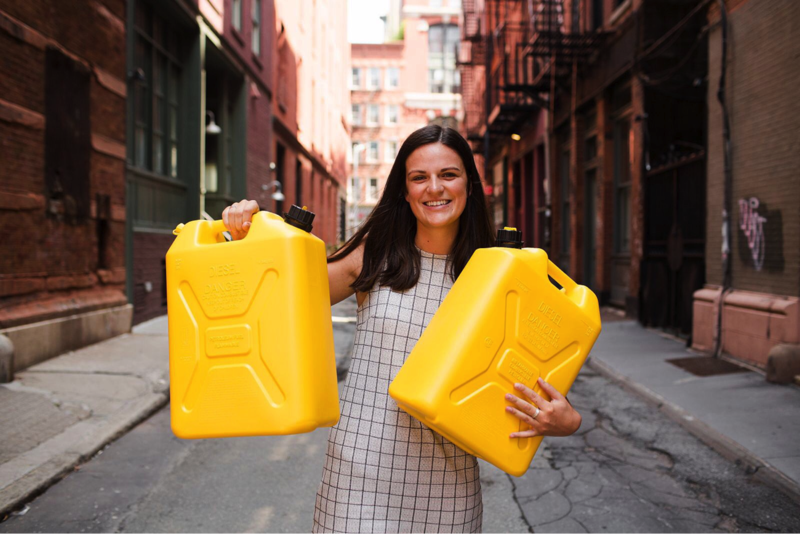 The Water Programs team is responsible for working with local partners in the field and ensuring that each donor dollar is used to promote the mission of the organization. I was given incredible opportunities to sit in on phone calls with potential new partners and complete many other tasks that normally would not be given to interns. I had worked at charity: water during my junior year in a different capacity than this summer, and while I grew to love c:w I had not been as passionate about my previous work. I had been looking for a way to come back to c:w in a more exciting role, but it did not make sense for me to work as an unemployed intern in New York during the summer, so I had ruled that out. For me, the Honors Summer Internship Fellowship came at the perfect time. When I saw the email from Dr. Keller in my inbox I jumped at the opportunity. I would not have been able to have the experience this summer that I did and be so confident in my desire to work in the nonprofit sector if not for the Honors Fellowship, and I am so so grateful. This summer, I was proud to receive the Honors Summer Internship Fellowship. The fellowship was an incredible opportunity for me, since it allowed me to pursue my dream of working at a nonprofit organization. Many nonprofits only offer unpaid internships, so the fellowship was crucial to my being able to accept the position. 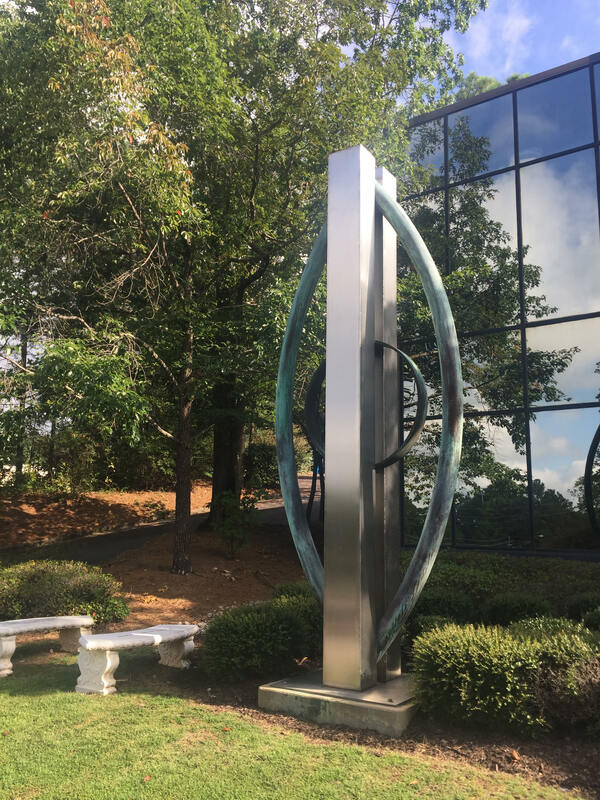 I interned with the American Society for Reproductive Medicine (ASRM), an international association of reproductive health care professionals, including researchers, practitioners, and clinic administrators. During my internship, I worked with the Education and Training Department to prepare educational materials for dissemination and prepare for their annual conference. 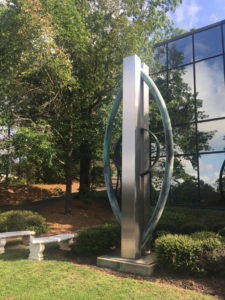 I spent much of my summer reviewing presentations that doctors has submitted to present at the conference, so I learned a lot about medical writing and terminology. As an EMT with Fordham University Emergency Medical Services, I’m familiar with patient care, but less familiar with all the work that goes on behind the scenes in the medical field. This internship allowed me to explore possible careers in medicine that wouldn’t necessarily be hands-on. I’m excited to continue exploring new career fields as I continue my time at Fordham, and none of this would have been possible without the support of the Honors Program.